Michael McDonald is an American actor, director, writer, and comedian. Best known for his ten year run on the sketch comedy show MADtv, McDonald was also a contributing writer and director on the show. After MADtv, McDonald went on to direct several episodes of 7th Heaven and the comedy-drama series Scrubs, on which he guest-starred several times. He also became a producer/director on ABC’s Cougar Town. Michael has made various TV guest appearances on shows like Seinfeld, Ellen, Just Shoot Me, NewsRadio and guest starred on Desperate Housewives and Pushing Daisies. Most recently Michael played recurring roles on Showtime’s House of Lies and Web Therapy. He also played the role of a bad guy in film The Heat, starring Sandra Bullock and Melissa McCarthy. McDonald continues to regularly tour the country doing stand up comedy. 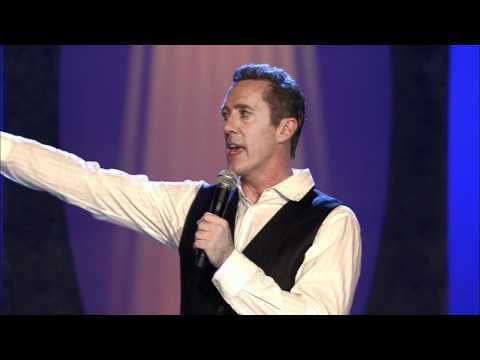 His first hour-long comedy special, Michael McDonald: Model Citizen aired on Showtime in 2010 and is available for purchase on Amazon.